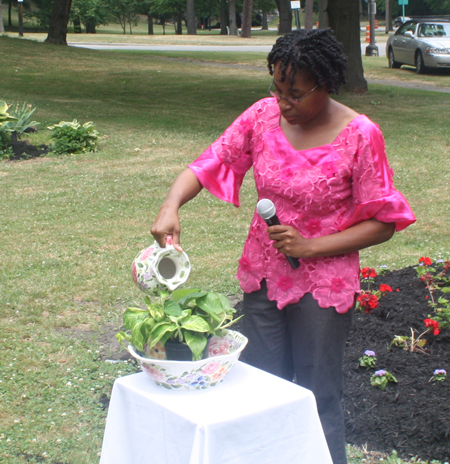 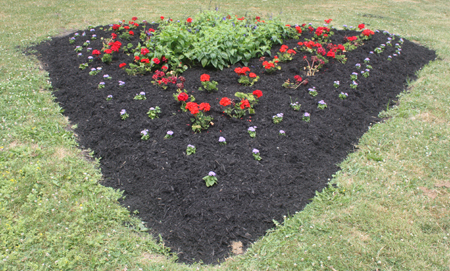 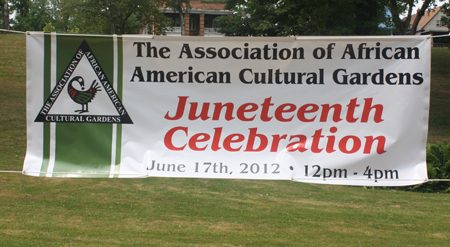 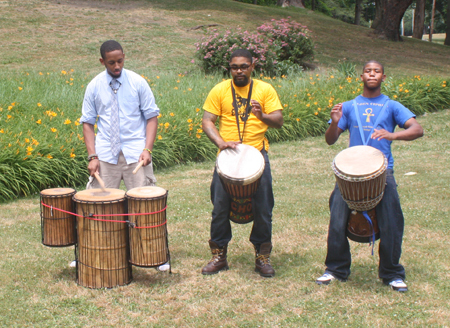 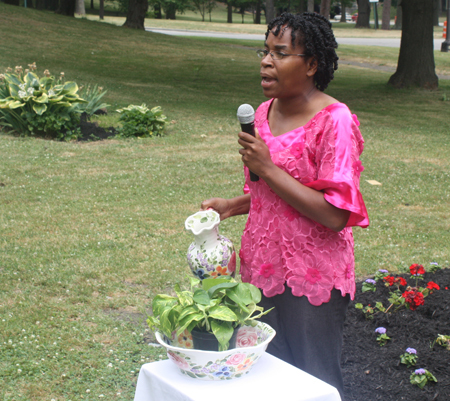 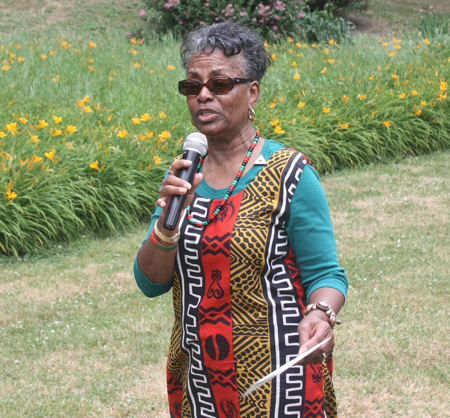 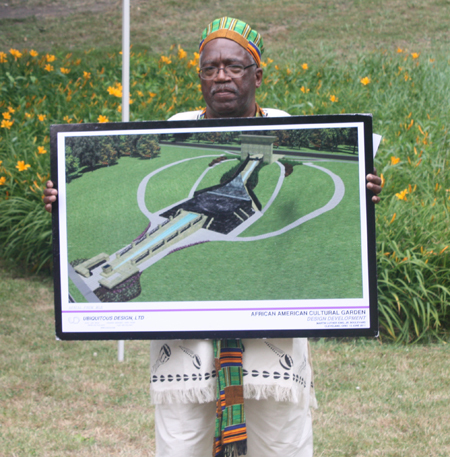 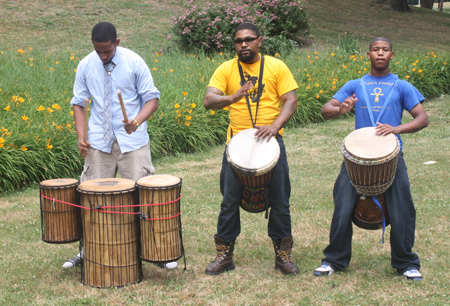 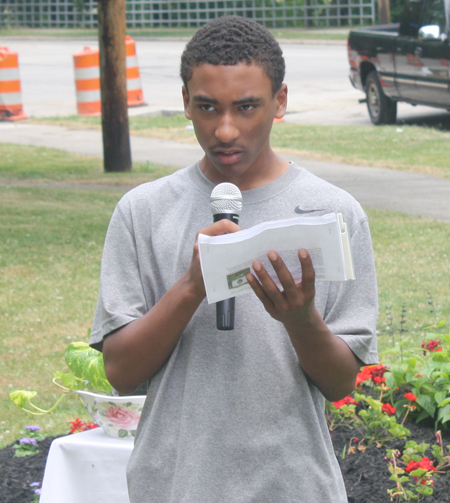 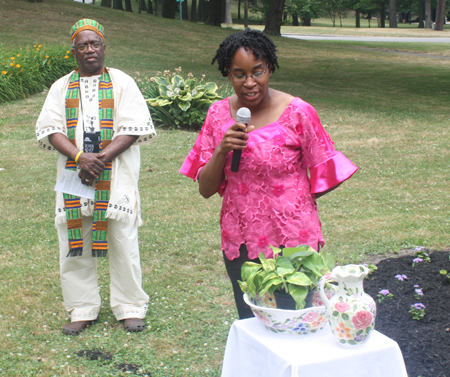 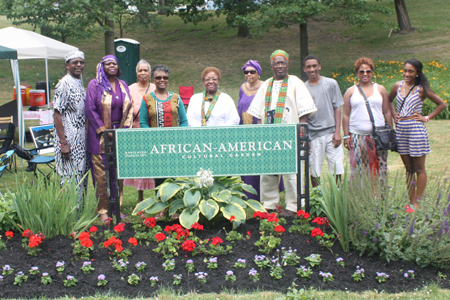 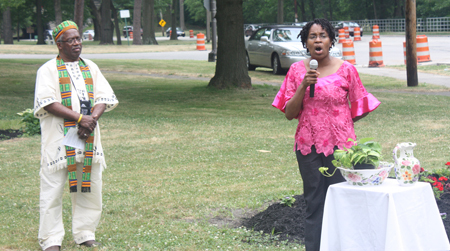 Juneteenth was celebrated in the African American Cultural Garden in Cleveland on Sunday June 17, 2012. 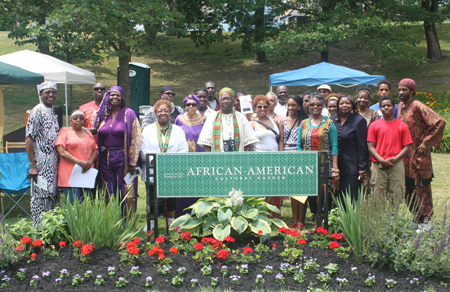 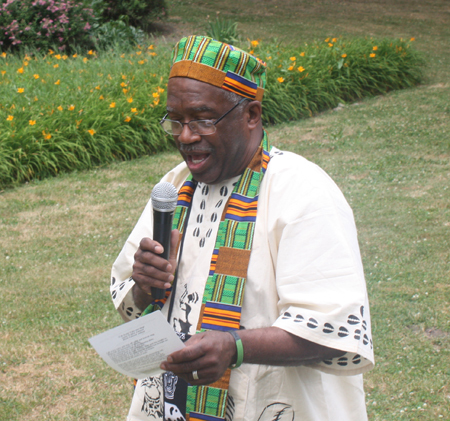 Carl S. Ewing is the current president of the African American Garden and he welcomed the group to the celebration. 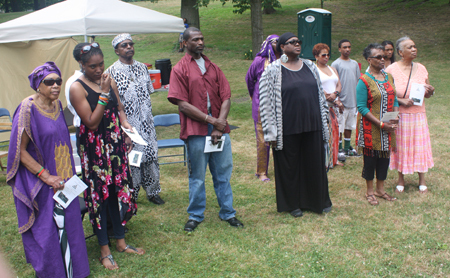 He then introduced Kwanza Brewer who explained and led the Libation ceremony to honor and remember ancestors. 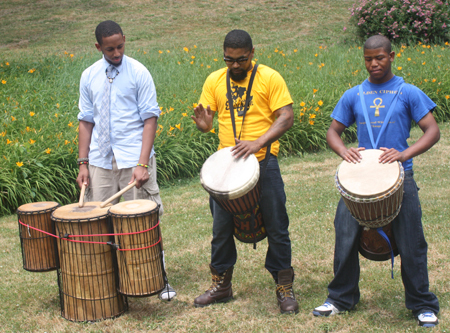 Next, Raphael Ivy, Anthony Hubbard and Sean McKissick from the Golden Ciphers performed a drum call. 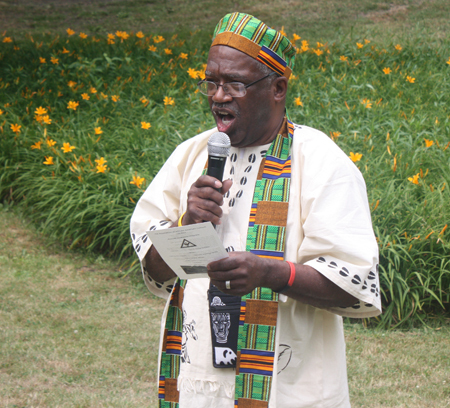 Phanawn Bailey told about the Middle Passage and Triangular Trade. 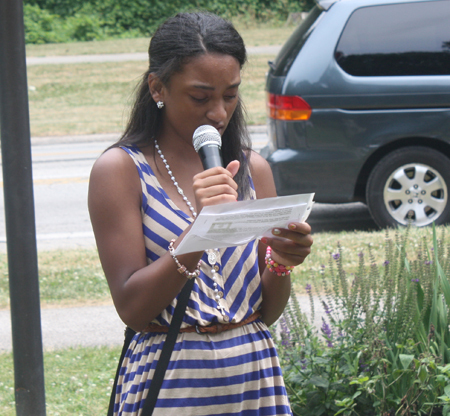 Kamryn Bailey then told about the meaning of Juneteenth. 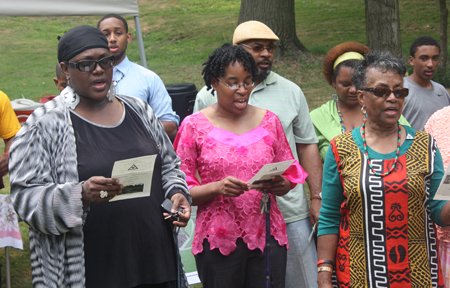 The gathering sang the Black National Anthem, Lift Every Voice and Sing. 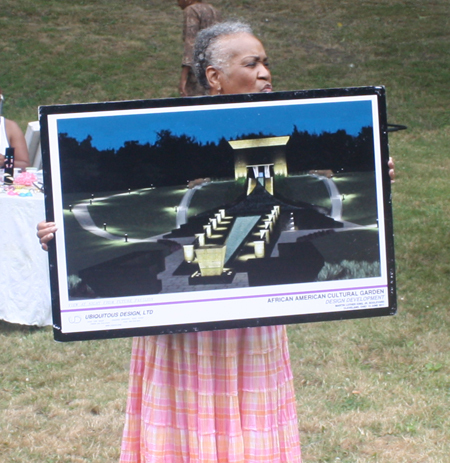 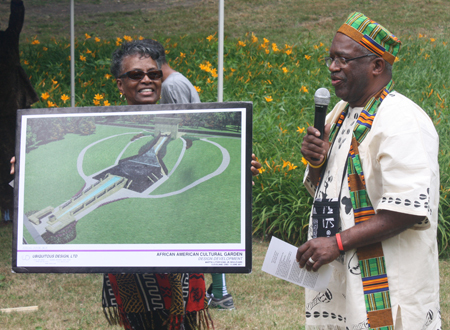 Carl Ewing and Ernestine Williams, Garden Fundraising Co-Chair, told of the plans for the African-American Garden and daytime and nighttime drawings were displayed. 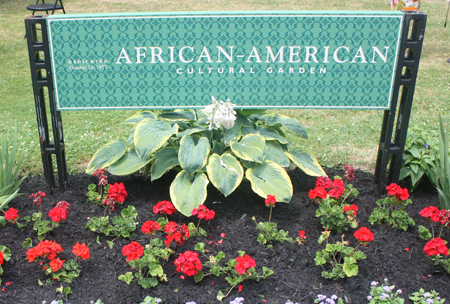 The Garden looked terrific and there was great excitement for the future. 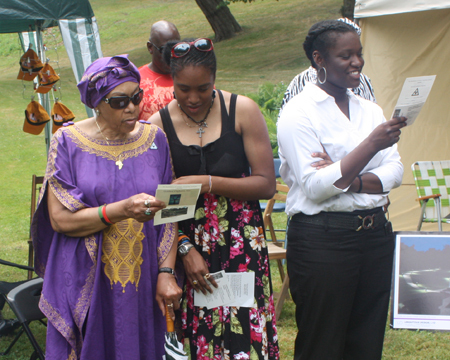 Ashe!